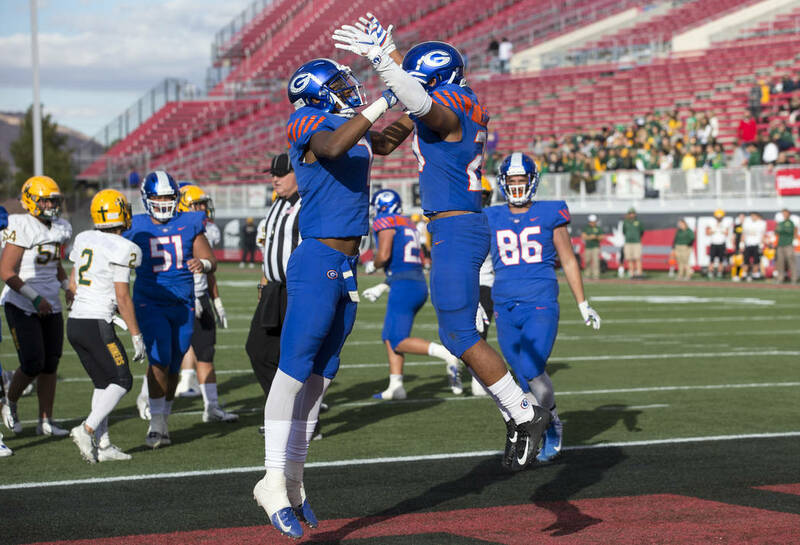 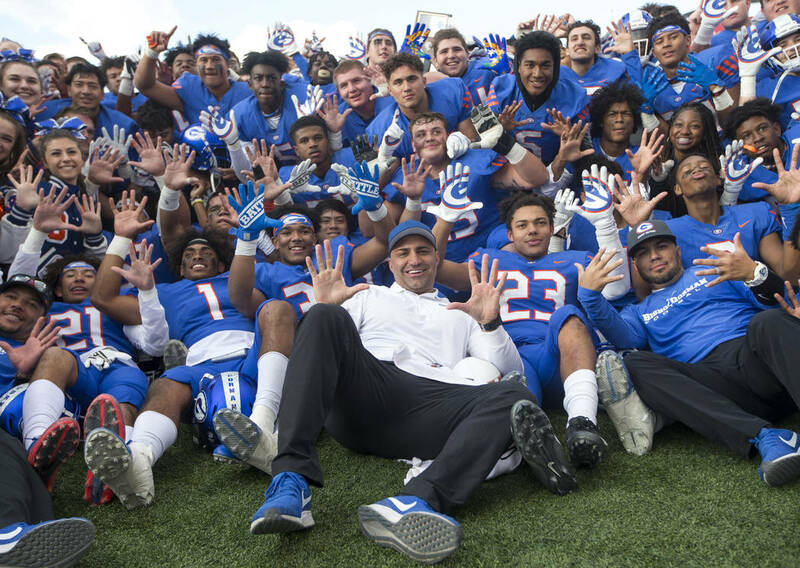 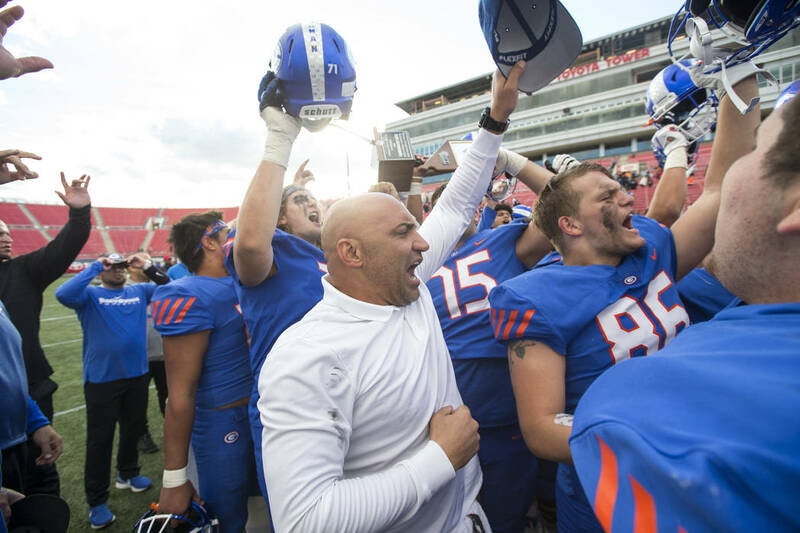 Amod Cianelli rushed for 286 yards and six touchdowns Saturday to lead Bishop Gorman to a 69-26 win over Bishop Manogue in the Class 4A state football final at Sam Boyd Stadium. 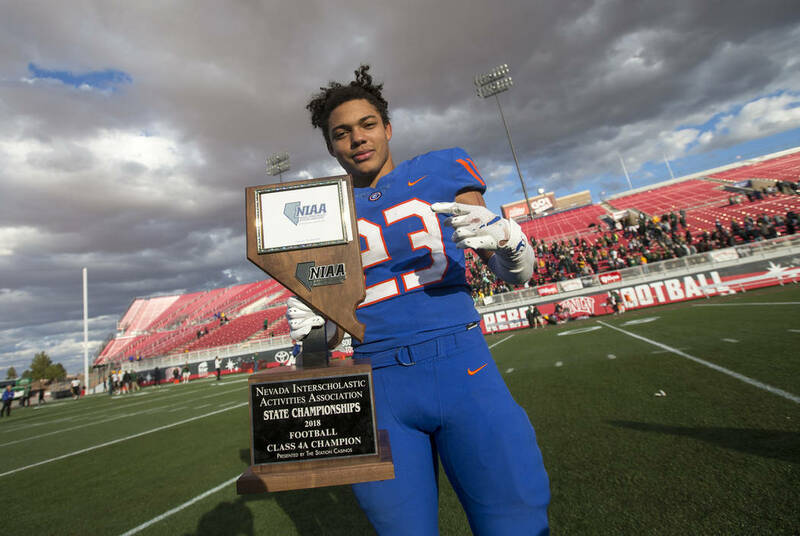 Bishop Manogue’s Peyton Dixon became the first player in state history to top 3,000 rushing yards in a season on Saturday, but the day belonged to Bishop Gorman running back Amod Cianelli. 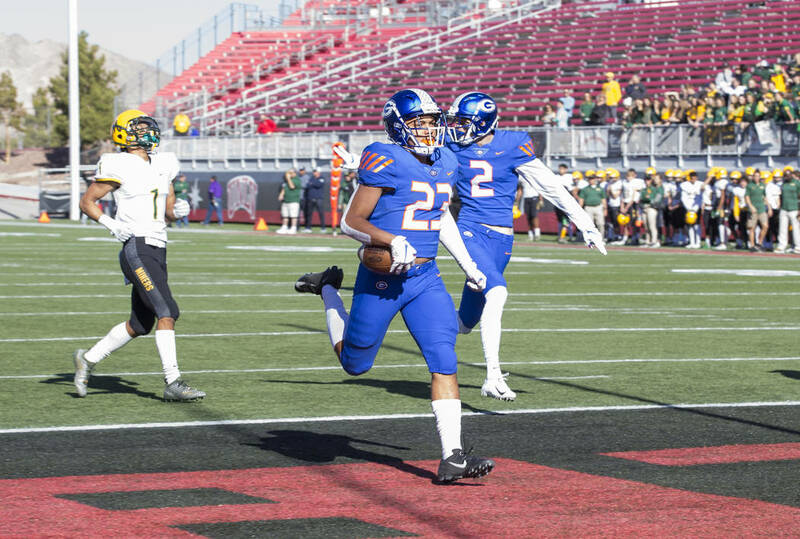 Cianelli rushed for 286 yards and six touchdowns to lead the Gaels to a 69-26 win over the Miners in the Class 4A state football championship game at Sam Boyd Stadium. 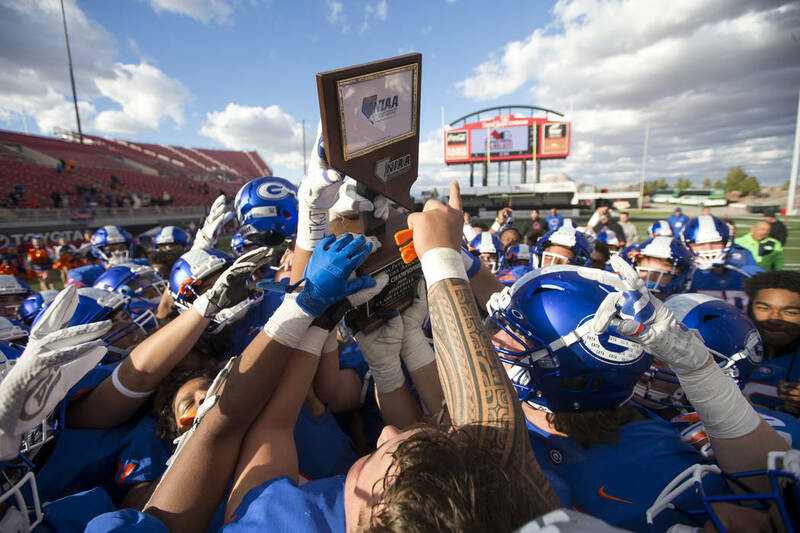 It was Gorman’s 10th consecutive state title. 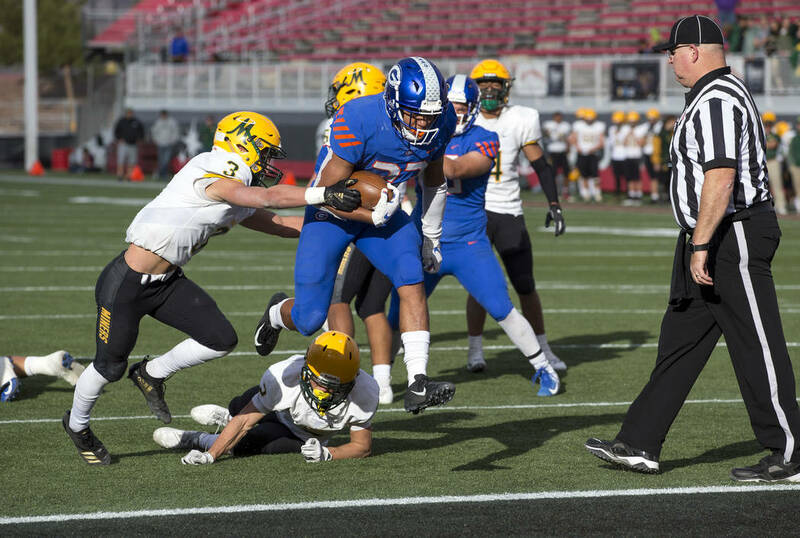 Cianelli’s six rushing TDs were the most in a state championship game and the second-most in a large-school game in state history. 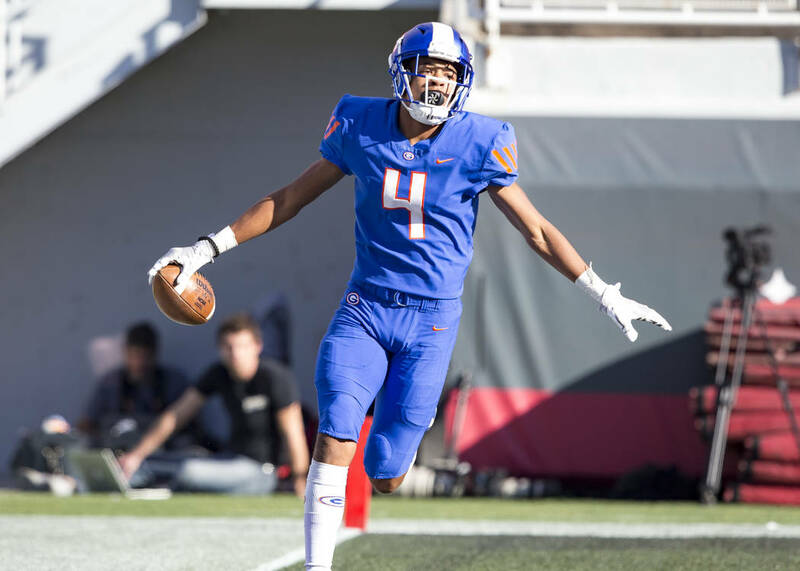 Cianelli wasted no time, scoring on a 61-yard run on the second play from scrimmage to give the Gaels (11-3) a 7-0 lead 42 seconds into the game. 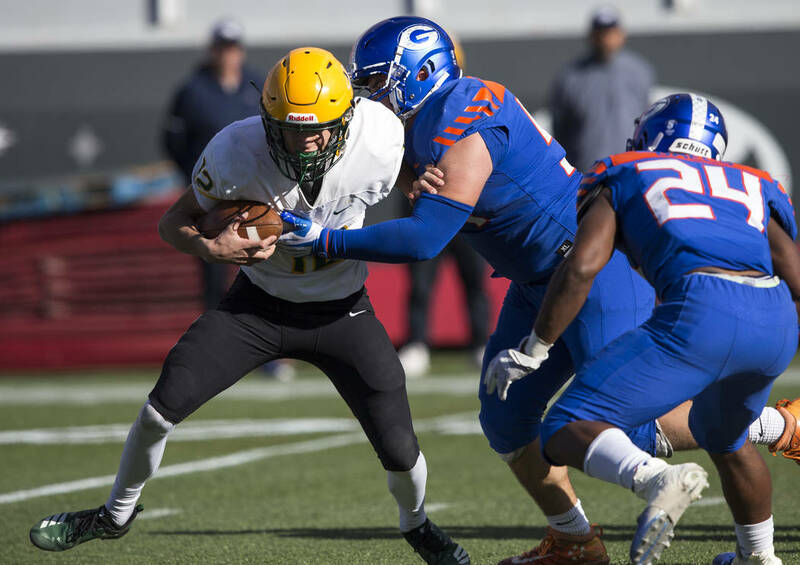 Manogue (11-4) tied the game at 7 and trailed 21-14 before the Gaels scored three touchdowns in the final 3:13 of the first half to take a 41-14 halftime lead. 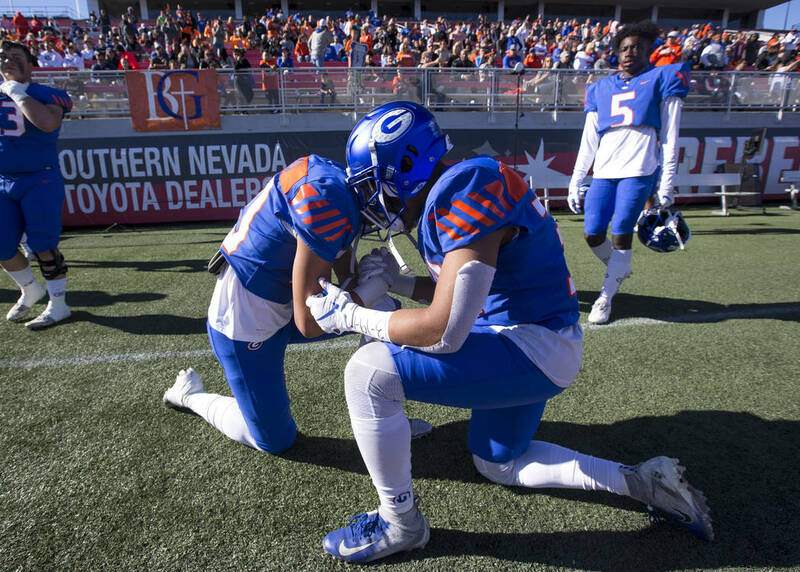 Gorman never punted and scored on 10 of 11 possessions. 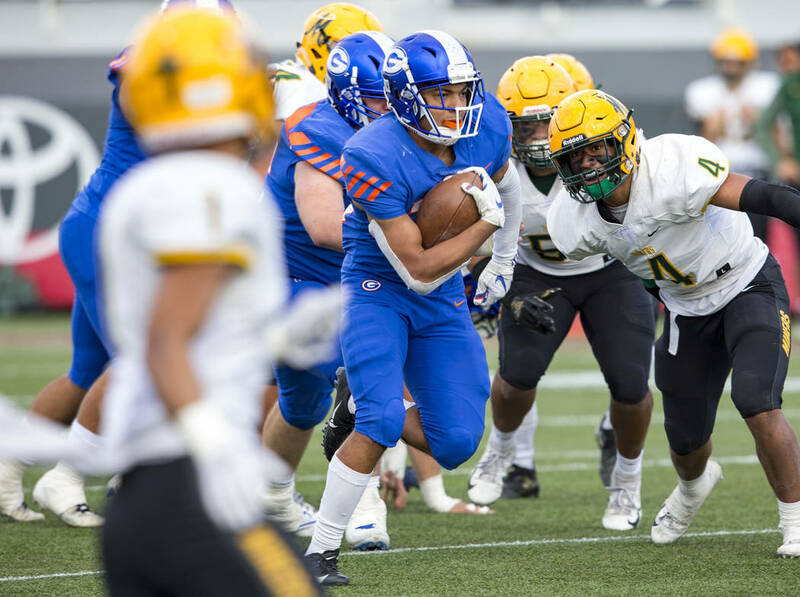 The Gaels finished with 676 yards of offense. 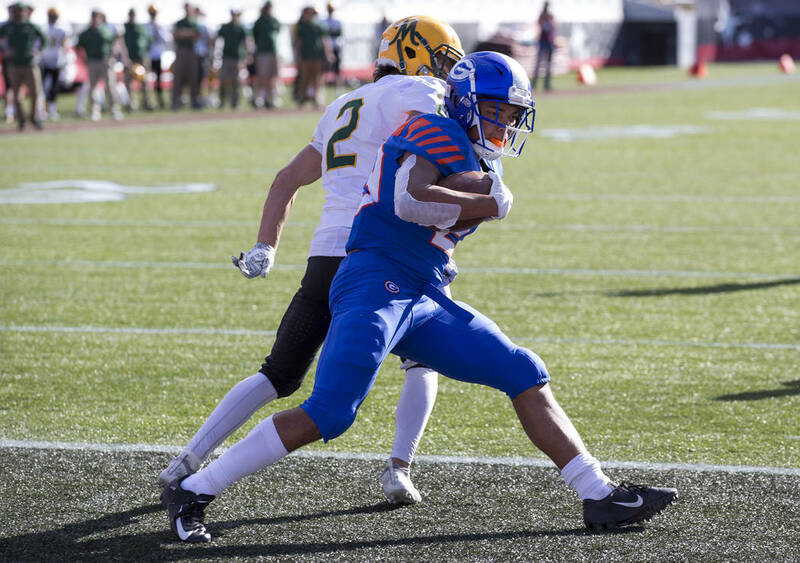 Gorman’s running game was dominant, as quarterback Micah Bowens added 165 rushing yards, including a 33-yard TD run. 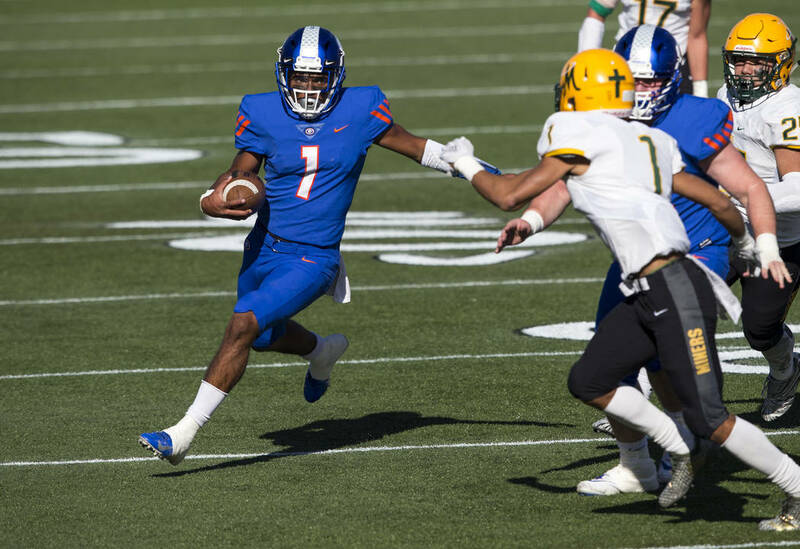 Freshman Cam Barfield had a 4-yard scoring run for the Gaels, who had 521 yards rushing. 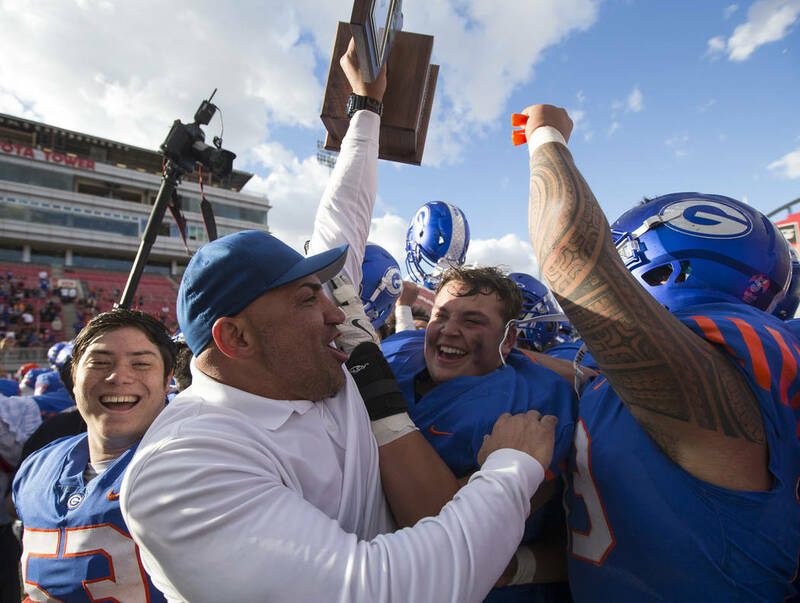 Senior tackle Beau Taylor said the goal was to get Cianelli over 3,000 career yards. 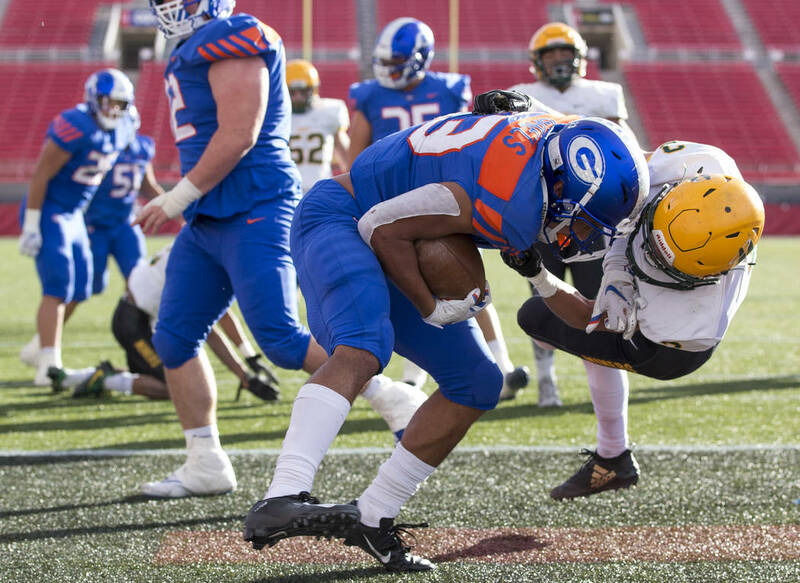 He did that on the second play from scrimmage, and from there, the Gaels continued to pound the ball. 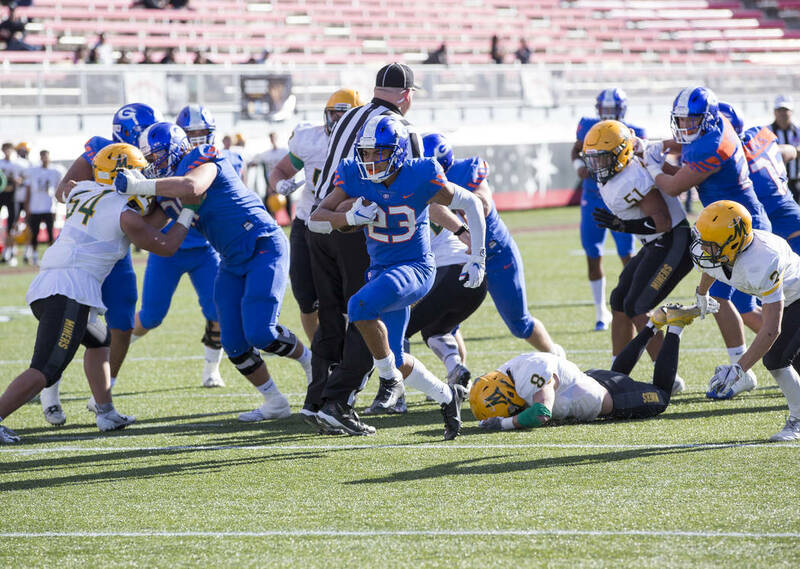 Cianelli had 27 carries and added TD runs of 16, 7, 48, 7 and 7 yards. 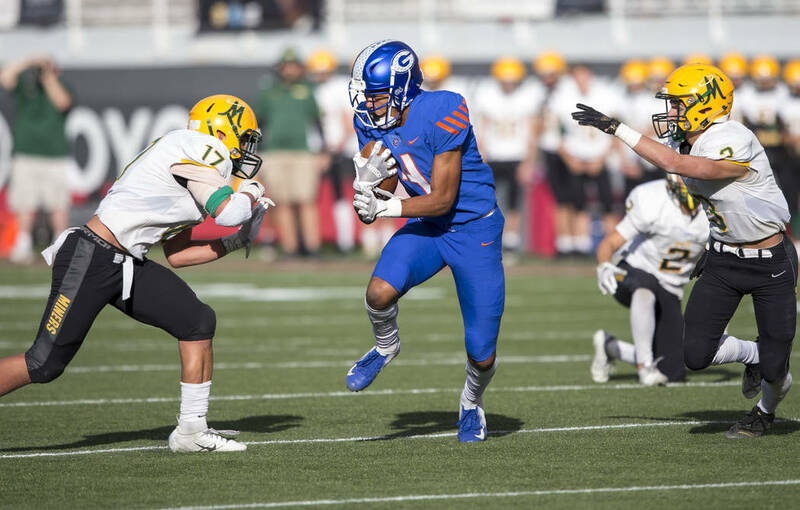 Dixon rushed for 192 yards, including a 62-yard touchdown, on 27 carries to give him a state record 3,136 yards this season. 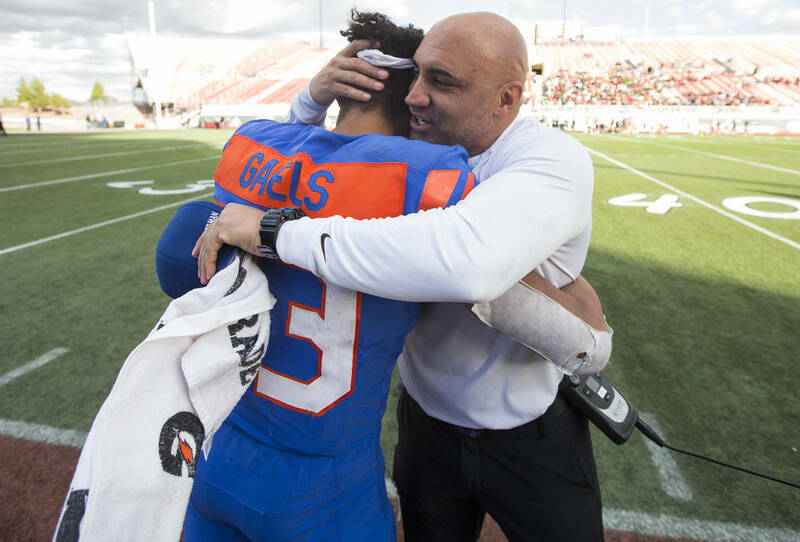 But he turned out to be no match for Cianelli, who finished with 1,431 yards this season and 3,221 for his career.